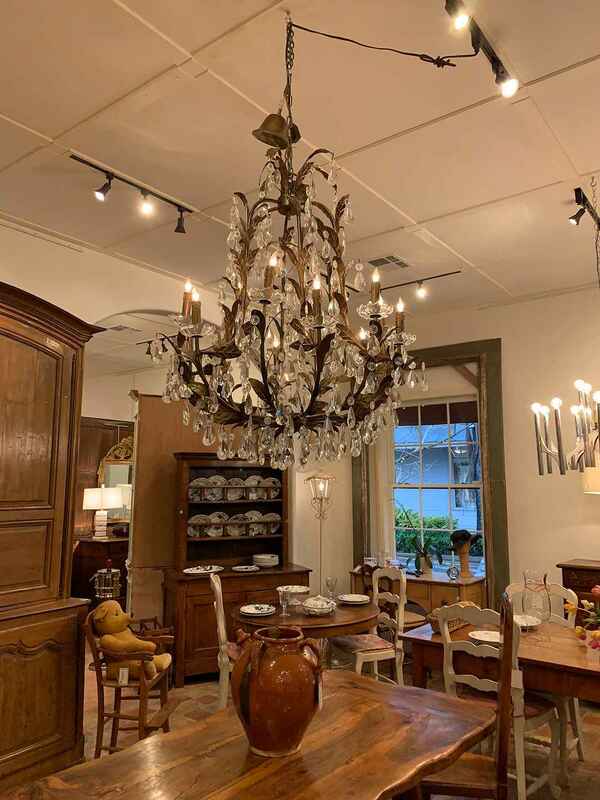 12-ARM CUSTOM DESIGNED FRENCH TOLE & CRYSTAL CHANDELIER. 12-ARM CUSTOM DESIGNED FRENCH TOLE & CRYSTAL CHANDELIER. H 40" W 33"